One of my good Cambodian friends works at a well-known hotel and she is one of the most giving and hard-working people I’ve met. She works almost every day of the week managing the hotel, dealing with customers (often crappy ones too), taking care of her niece and supporting her other siblings and the family, some of whom don’t work at all. She barely has enough money to keep for herself because she takes care of everyone else. This is unfortunately a very common story for both women and men, but women predominantly. Glad she got it anyway despite people telling her not to. It’s women like her that will slowly change the perception of women can and can’t do. After being in Asia for 2 years, I’ve had the honour of meeting women who have gone against their families’ wishes to educate themselves, go against society’s expectations of what it is to be a “proper” woman and women who work every day to raise and take care of their families without any complaints. I have met so many strong women in every country I have travelled to and know many strong women in my family and friends and I admire all of them. My wish is that all women, and men too, have the opportunity to be educated, to get paid fairly for the work they do, to have the freedom to choose who they marry or if they want to marry at all. The talented chefs Pol Kimsan (left) and Sok Kimsan (right). 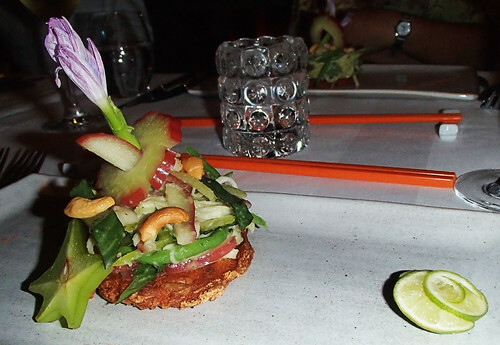 Siem Reap is a food heaven where visitors, locals and expats can try everything from traditional Cambodian food, Indian food to fine French cuisine. 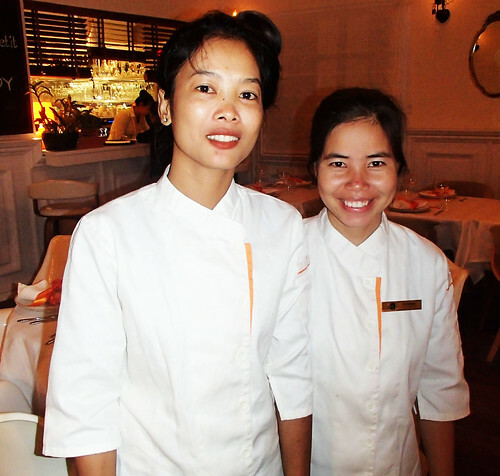 I was very happy I was introduced to two very talented Khmer (Cambodian) women who have worked their way up to become executive chefs at Embassy restaurant, one of the nine restaurants in the Angkor W Group of Restaurants. Pol Kimsan and Sok Kimsan have humble backgrounds and have worked hard to integrate their experience working at hotels, restaurants and Michelin Star training in France to create a unique fine dining experience at Embassy. They first met when they worked at the five-star Victoria Hotel in Siem Reap and have been together through the development of their skills, food experimentation and running the Embassy kitchen. 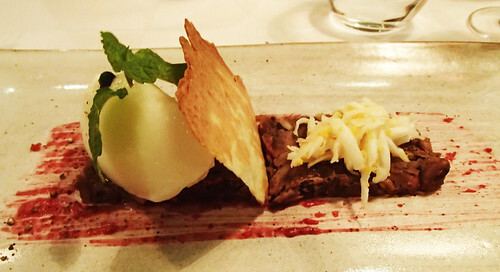 I went with friends to experience their five-course menu and was very impressed with the incredible and unique flavours they created. 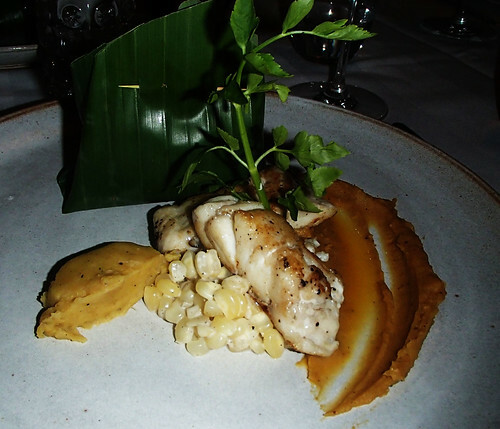 We listened to a personal introduction of each dish by staff before indulging in each of them. I feel honoured to have had a chance to sit with these inspiring women so they could tell me about their journey first-hand. Pol Kimsan moved from Kampot to Siem Reap in 2002 and studied at Paul DuBrule hospitality training school for nine months. Her mentors and former colleagues pushed her to challenge herself and her skills. “I’m from Kampot in the countryside and when I finished high school, I didn’t know what to do and applied to be a teacher. I came to Siem Reap because people said there are lots of tourists. So my uncle brought me here and sent me to Paul DuBrule school where I studied kitchen. I came and learned English for one year and it was very difficult for me. I got a lot of experience when I trained at the hotel. After I finished school, I came to work at Victoria Hotel cold kitchen to make things like salad. 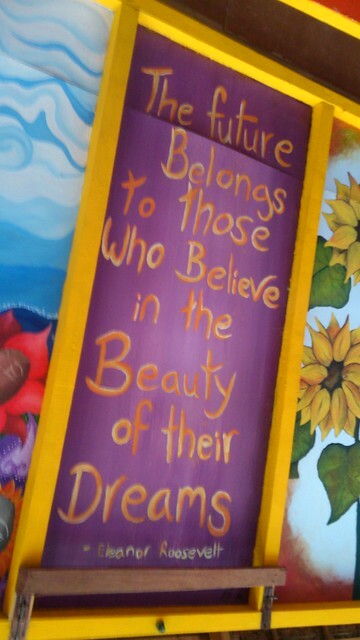 When I studied, I wanted to be bakery chef because around the world, women chefs cannot become an executive chef. My family is from the countryside so they don’t have a strong opinion on it or know what it is to be an executive chef. The executive chef at Victoria told me to learn more about cooking food and transferred me from cold kitchen to hot kitchen and I learned a lot from him. When I work with him, I can follow everything that he taught me and he pushed me to make French food. After I resigned at the hotel, I became the head chef at Champey and controlled the kitchen for another restaurant and got a lot of experience from the owner. How did you choose which dishes would make the menu? 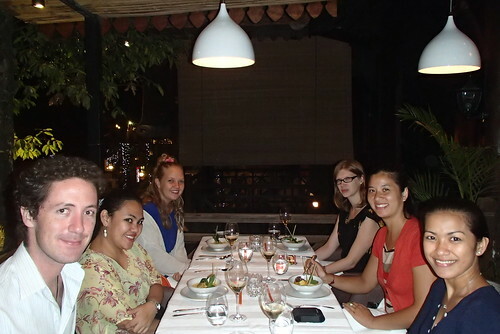 The restaurant opened on December 6, 2014 and we invited 15 customers from different backgrounds to try our food. 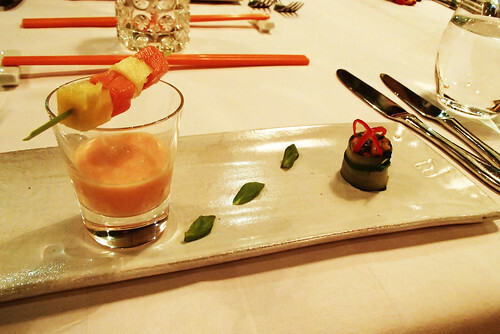 We wanted to keep the traditional Cambodian flavours but with a Western twist. We tried different things but we just had to finally make decisions on the menu. 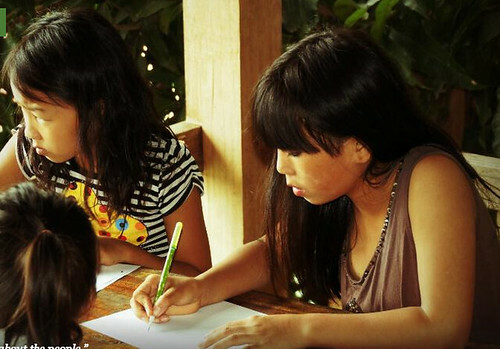 What message do you have for this next generation of Cambodian women? We want to grow the young generation of cooks. 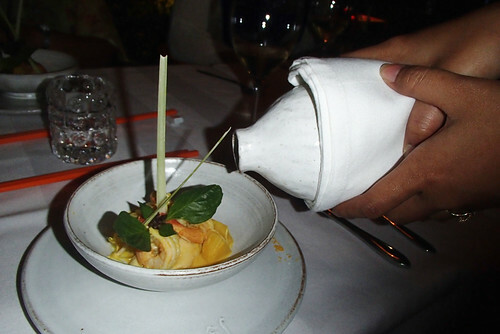 We want Cambodian women to be a chef like the man. Sok Kimsan’s culinary skills were developed in Sala Bai training school and she also spent two years at the Grand Hyatt in Dubai. Her family grew up in the Siem Reap province. Before I did not think I would be a chef. I never wanted to be a chef when I was young. But everybody said if you are a cook it’s better. I just started learning at Sala Bai and I learned myself. They showed us many kinds of skills, provided training at the hotel and a cooking show in the kitchen. We worked in many difference places to get experience. I was working in Dubai for two years at Grand Hyatt. It’s good for business but I prefer to live in Cambodia and came back in 2008. My boss is very kind and it is only him to push and he pushed me when my family didn’t. I try to share my experience and teach what I know for the new generation and I tell them to work hard. They have to have confidence in themselves. I want women to be leaders. Women have many ideas. Both women are part of the chef Association, which aims to promote Khmer food and encourage more Cambodians to go abroad and gain ideas. 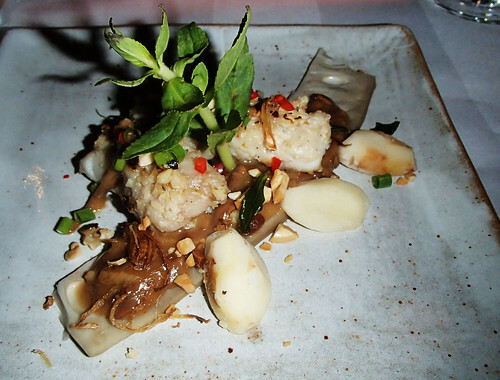 When you are in Siem Reap, experience the twins’ fantastic fusion of flavours for yourself and the culmination of all of their culinary experience will be reflected in their food and presentation. 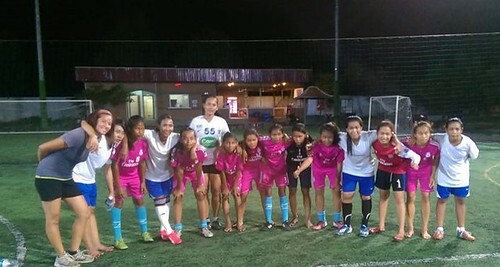 My inspiring and strong Khmer friends on our football team. Seeing them every week on and off the field is always a great time. “Cambodian men won’t like me, because I’m independent. They don’t like women who say, ‘do this’ or ‘do that. '”—One of my modern Khmer friends. I’ve spent a year in Cambodia to date and have met Cambodians in rural villages and the heart of the busier cities in Siem Reap and Phnom Penh around the country. I’ve become very accustomed to seeing women who always greet you with a smile, often timid, and who have been raised to become a good wife to somebody, especially in the rural villages where over 85% of the Cambodian population lives. A “good” Khmer woman is a woman who does not speak back against authority, parents or their husbands. They are responsible for managing the house and taking care of the children while many of their husbands drink, laze around or cheat with other women. I don’t want to generalize but around Asia, particularly rural areas, this is a very common problem among the men. And the women often just tolerate it. 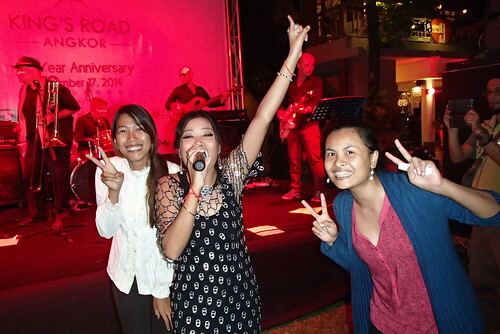 More of my confident, intelligent and talented Khmer friends at the one year anniversary at King’s Road restaurants. I have been meeting more women in in Cambodia, particularly in sports groups and NGO employees, who very much surprise me with their boldness, confidence, LGBT friendly attitude, humour and sometimes sexual jokes. They are very liberal even by Western standards. I very much admire and respect some of my friends who went against their parents wishes, which is very difficult in a culture where you are trained to respect and obey your elders from the moment you are born, and they fought to go to school anyway because they wanted to learn so they found a way to get their own scholarships or pay for their own education. In my previous post, I spoke about some of my strong friends who went against their parents to pursue their passions. Socially, my modern Khmer friends are very outspoken, don’t take BS from anyone, especially men and earn their own money to live the way they want and learn whatever they want. We see each other at least twice a week and always enjoy a good laugh and be as loud as we want. They are one of the funniest people I’ve met in my life of all the places I’ve been in Europe, Mauritius, Asia and North America. I know my friends will educate their daughters and their sons to respect women and I hope in the next generation this mentality spreads in more parts of the country. Apologies again for delayed posts, it’s been a crazy two weeks of life transitions, getting a bad cold in a country that is at least 27 degrees on any given day and social obligations. 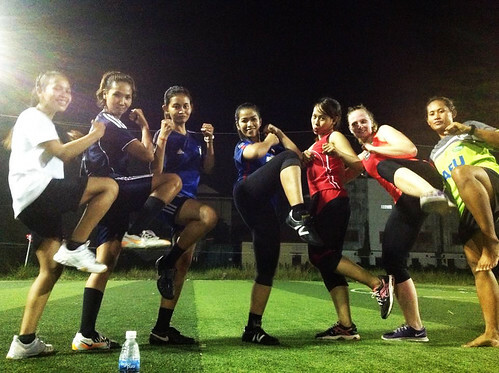 I’ve met some more inspiring and strong Khmer women on my soccer team that plays games weekly. In many traditional Cambodian households, particularly rural areas of the country, which over 85% of the population lives in rural areas, many Khmer girls and women are expected to become housewives and are often not supported to attend school. I learned that this same friend was sponsored to attend a five-day program that uses football to also empower women too, which is amazing. 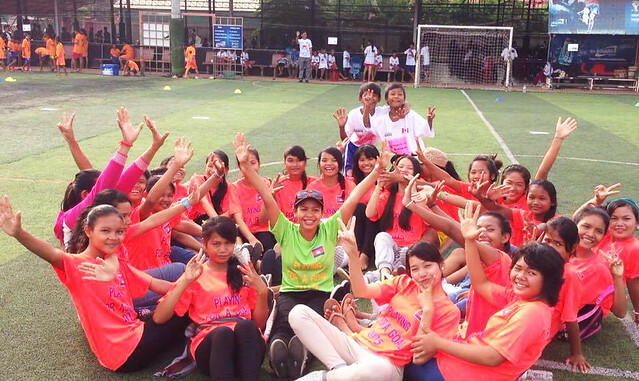 When I first joined football, I wasn’t expecting to as many Khmer people playing as there were. But I’m very happy especially to see more women playing than I expected. Another one of my teammates told me that her family often discouraged her from going to school and only supported her brothers’ education. But she found her own scholarship that enabled her to go to university. She was the first woman in Cambodia to graduate at the top of her marketing class at her university. Now she earns much more money than most of her male colleagues and uses her extra money to buy good books for her younger siblings. Another teammate is raising her niece in addition to her own children but she keeps reinforcing the important of working hard and always learning. She provides everything that her niece needs to thrive. While there may be some NGOs that have some impact with advancing women’s rights, it’s ultimately the women like my friends who will have the biggest influence to change the mentality of the next generation and their siblings to value education and support the empowerment of women. 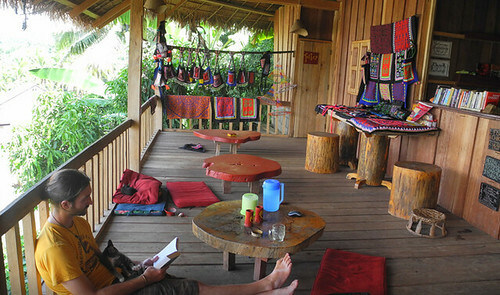 This is where people can relax, buy the women’s handmade crafts and enjoy a wonderful meal. 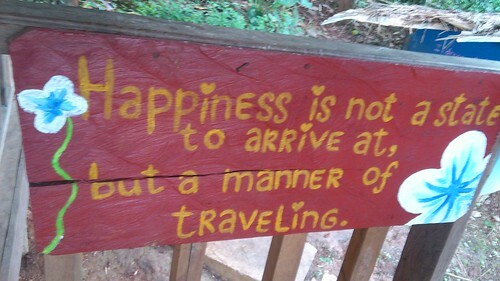 Now I’m backtracking to October 2013 when I was in Laos. I stayed alone in Huay Xai to do a three-day ziplining tour. I stayed at a random guesthouse the first night I was there. As I walked up to the temple, I saw a sign that pointed to a homestay, which always appeals to me. When I went, I met the family who runs it. 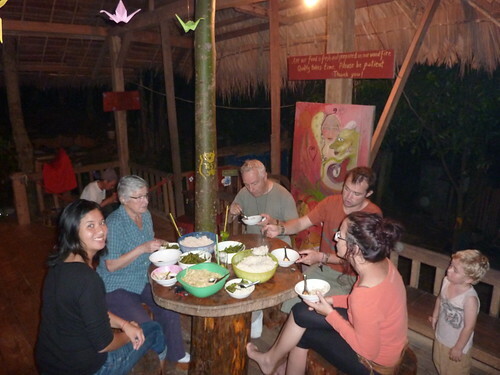 The family is originally from America and they run this wonderful guesthouse in collaboration with other Laos families. 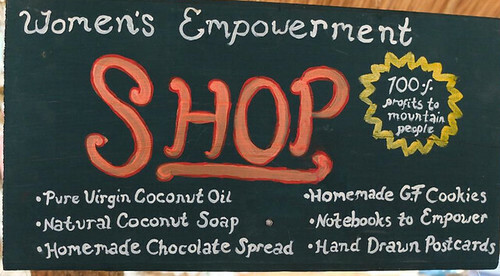 They teach the women life skills, women’s rights and sell the women’s handmade products at their Women Empowerment Shop. It’s a beautiful environment they’ve created and all of the revenue from the guesthouse is invested in empowering the families. These are the daughters of some of the women who participate in the workshops. In Laos, many women, especially in rural areas, don’t have many rights or a space to express their opinions in their lifetime. They are second class citizens and very submissive to men. The legal marrying age for girls in Laos is 15 years old and they often stop school as soon as they become a wife. 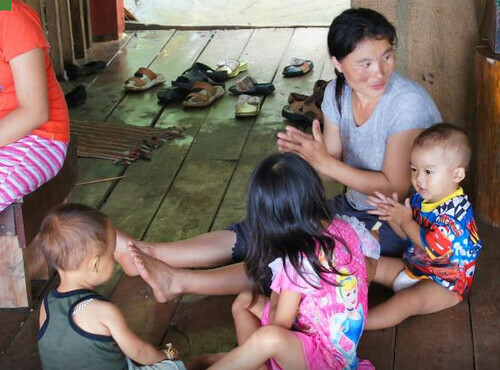 Given the challenges girls and women face in Laos, I was impressed that Daauw Homestay was running these programs for women because these kinds of projects can be controversial among the local people or condemned. I enjoyed dinner with the founders and other guests. The couple has an adorable story themselves. The guy was traveling for years and when he only went to the U.S. for a few weeks, that’s where he met his wife and she continued on the journey with him. 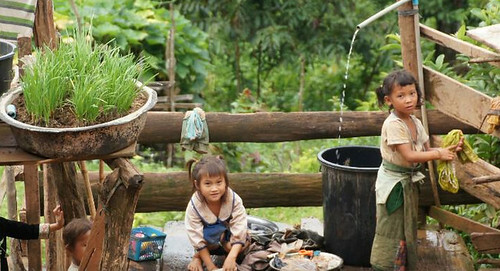 Now they have three beautiful children who attend a local school and learning Laos. Because they’re just across the border to Thailand, they have been renewing their visa for years by taking the boat ride across the water every month. A family’s kids who were playing with Laos kids. Around dinnertime, I walked back to Daauw Homestay to have dinner with the family. For about $4 US, you could eat as much as you wanted of whatever they were serving that night, which included rice and several stir fried veggies. I spoke with the family and a few of the other guests who were at the home. 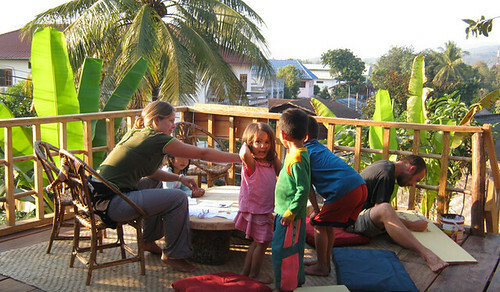 While we ate, their children were playing with the children of the Laos women who lived and worked at the guesthouse. It was a beautiful and open environment. 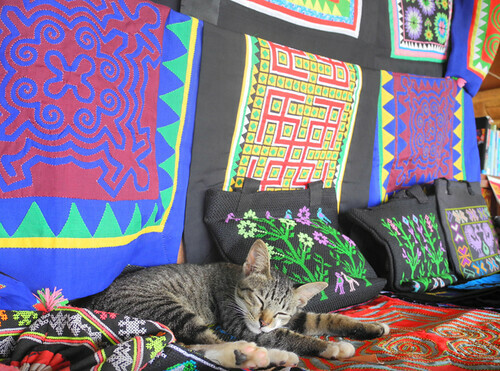 These are some of the beautiful crafts made by the Laos women. After my 3-day ziplining tour was over, I stayed one night at the guesthouse with a woman who was on my tour. She was from France and was traveling around Asia long term. We got along well during the tour, she was very easygoing. During our dinner with the family and guests, I chatted with another retired French couple who was traveling in Asia. They were going to make their way down to Siem Reap so I told them a bunch of advice on places to go. These are some young girls taking one of the classes. The room was very comfortable and it was about $8 US for the entire room. There was a fan and clean bathroom. 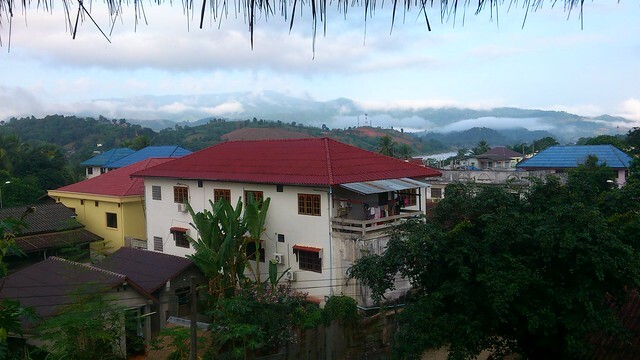 It is probably the nicest place to stay in the Huay Xai, which is a very small city, not only because of the cleanliness but the people there who create a welcoming and warm environment. I love places like Daauw that create an open environment and attract a certain type of guest and it’s an easy place to come alone. I encourage any person to say here if they want a comfortable place to stay, meet wonderful people and also support the women who are gaining valuable life skills. 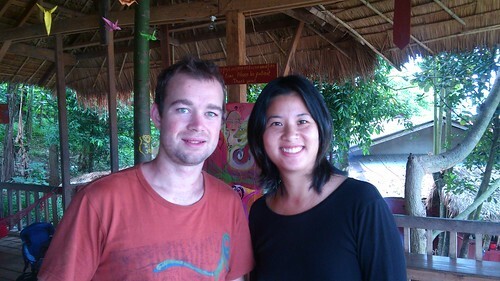 He is one of the founders of Daauw Homestay.